Table Mountain National Park, Cape Town, South Africa is unique in the world in that it is almost entirely located in a rich and vibrant metropolitan area. Table Mountain National Park, Cape Town, South Africa represents part of the smallest and richest floral kingdom in the world. This stunning urban treasure incorporates Table Mountain, Cape Point and the area between. It is accessible to everyone and provides wonderful interaction with nature in the heart of a thriving and cosmopolitan city. 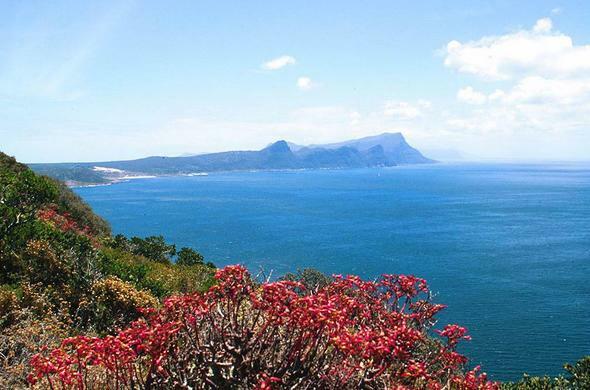 This beautiful Western Cape national park is renowned for its diversity of flora and fauna. A variety of ecosystems support wildlife including marine species as well as rare and indigenous plants found nowhere else in the world. The 25 000 hectare Table Mountain National Park is also custodian to a number of cultural heritage sites within its boundaries. Wheelchair users will find many sites within the park are accessible to a fuller or lesser degree. The main areas are Table Mountain, Silvermine, Boulder’s Beach, and Cape Point. For more detail and guidance contact your friendly Siyabona Travel Consultant. With a Mediterranean-like climate and winter rainfall Table Mountain National Park, Cape Town, South Africa has well defined seasons and lush vegetation. Strong winds predominate with the “Cape Doctor” from the south east in summer dispelling any pollution from the city. In winter the north east winds tend to blow in off the sea, but often there are really clear, warm days which are ideal for hiking. The topography of the park does create micro-climates which could mean that the weather in the city is great but a hike into the mountain chain may encounter rainy and misty weather. For this reason it is essential for all visitors to go well equipped for any eventuality. This floral kingdom with its towering mountains and amazing beaches, gives you a new meaning of beauty. Here, at the Table Mountain National Park, beauty is reachable: you can now see, smell and even touch it.